Life in my houseful of boys: Crufts, Cross Country and a lot of Yarn. Crufts, Cross Country and a lot of Yarn. 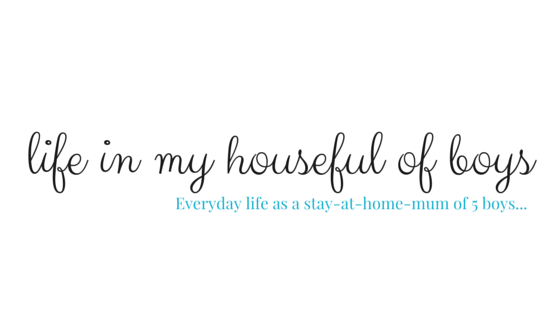 Now this seems like quite a varied subject for a blog post, even by my standards, but don't worry, it's not as random as it sounds! The three things are only connected in that they all relate to last weekend. The two older boys were both away at the weekend - Calum (14) to Crufts in Birmingham and James (17) to the National Army Cadets Cross Country Competition in Merseyside. The Yarn part of the title relates to me, as you could probably guess, but the boys' trips are much more exciting so let's start with them. 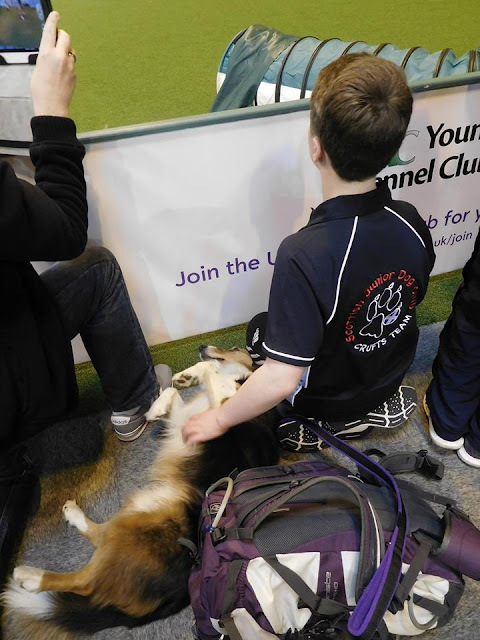 Calum has been going to dog agility with his Aunt and her dog Shadow for a couple of years now. 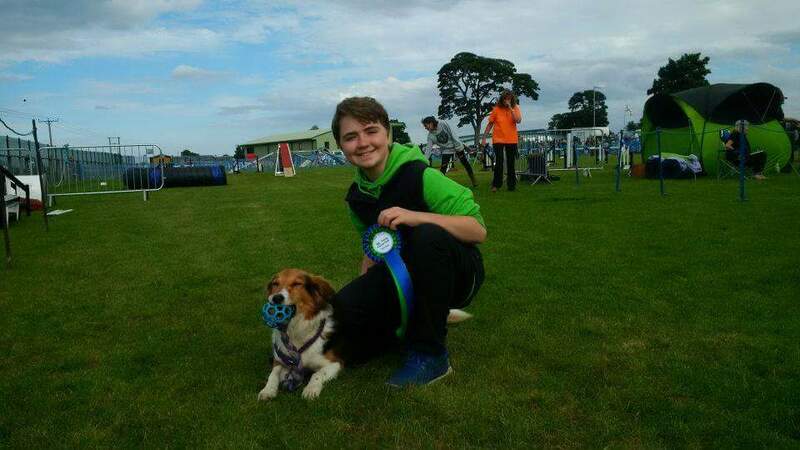 Auntie Anna and Shadow take part in dog agility competitions almost every Saturday through the summer and Shadow has an impressive collection of winners rosettes and trophies. 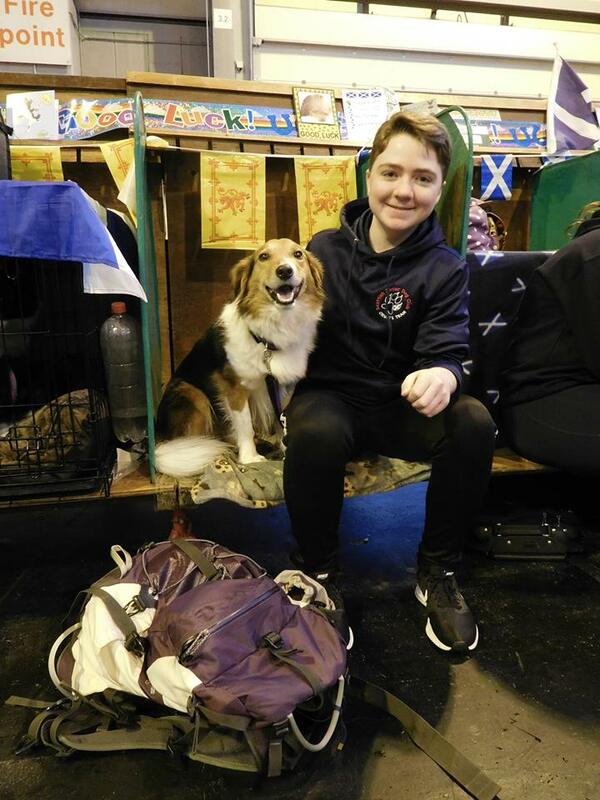 Calum and Shadow have also entered a few junior agility events and they too have won a rosette or two. In one of the junior events back in the autumn Calum and Shadow qualified for the Junior Team event at Crufts! 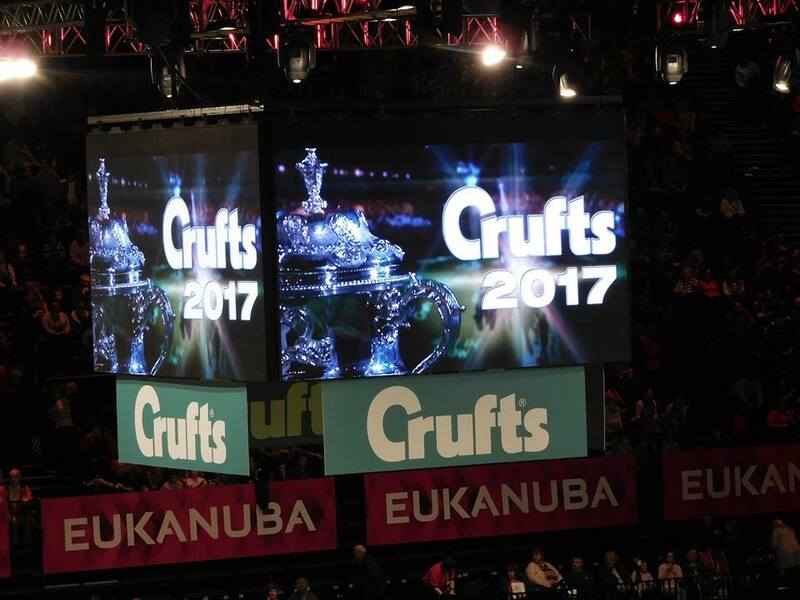 I think Auntie Anna was even more excited than Calum to be able to go to Crufts, although I'm sure she'd never admit it! She organised somewhere for them to stay and drove all the way down and back at the weekend. They enjoyed wandering around Crufts and watching some events in the main arena, before it was time for Calum and Shadow to have their turn in one of the smaller arenas. Their team didn't get placed but that didn't matter. 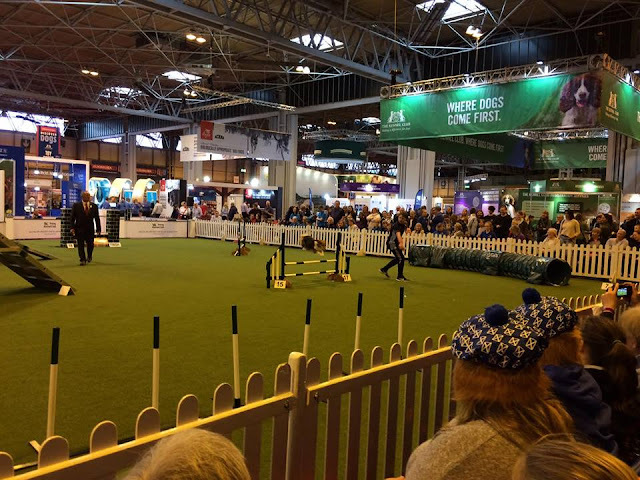 It was an amazing experience to not only go to Crufts and see everything there, but to also get the chance to take part. Calum's already planning to go down next year, but this time just as a spectator! Moving onto the Cross Country now. 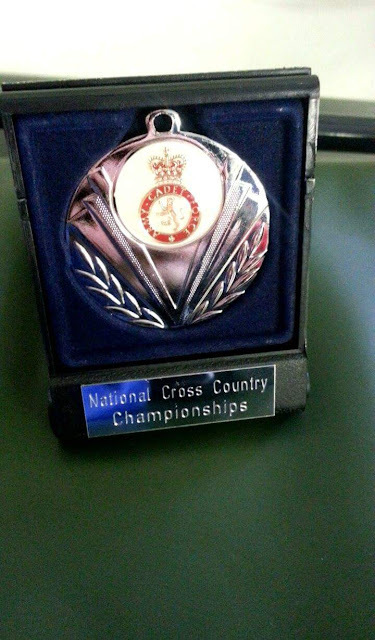 Also back in the autumn, James qualified to represent Scotland in the Army Cadets National Cross Country Competition. You might remember that he also qualified for this last year. 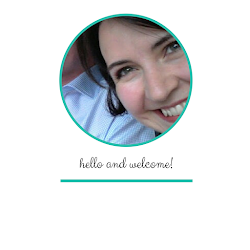 I wrote about that here. 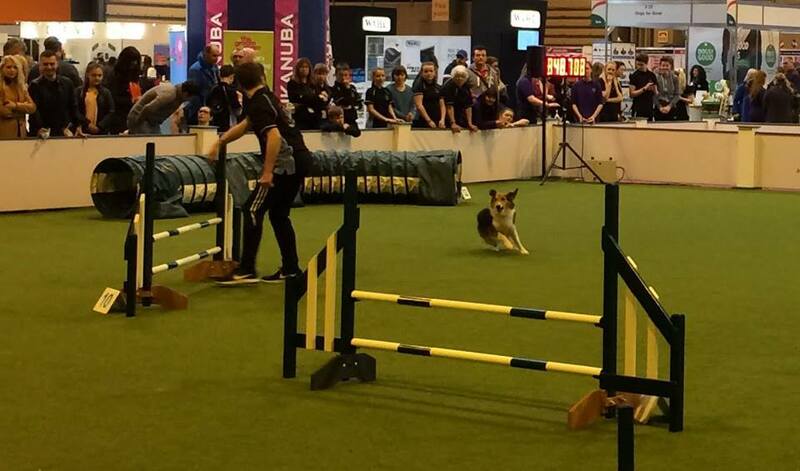 The competition was made up of 7 teams from England, and one each from Scotland, Wales and Northern Ireland. James came 6th in the race and helped the Scottish team come 2nd - the same position they came last year, and apparently only 1 point behind the 1st place team. He received a silver medal which now sits proudly beside last year's almost identical one. 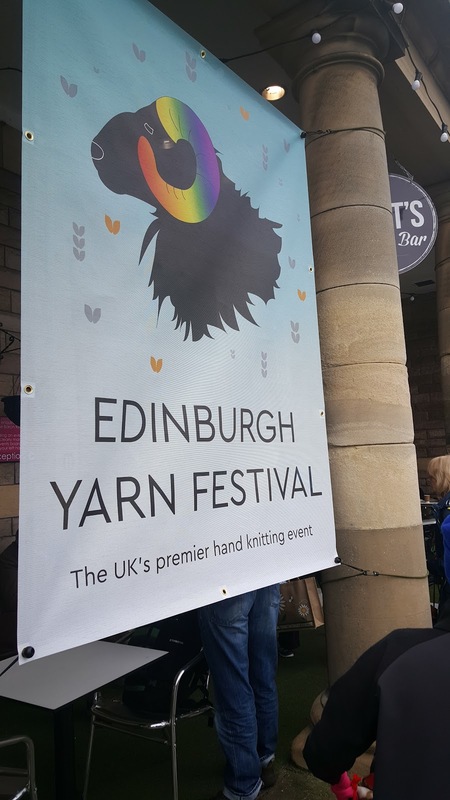 Well, while the older two were away on Saturday, the other three boys and I went along to the Edinburgh Yarn Festival which was on last weekend. Dad was busy and so they had no choice but to tag along with me! David (11) actually surprised himself (and me) by how much he enjoyed our little wander around the festival. 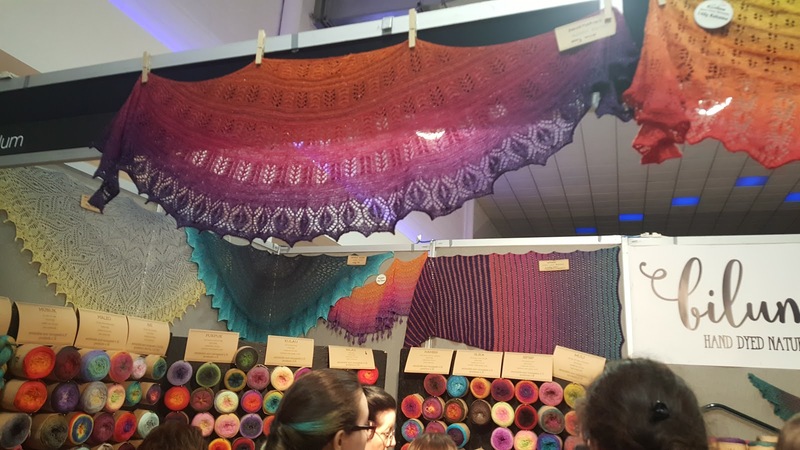 He had no idea how many different types of yarn there were, and really enjoyed seeing them all. 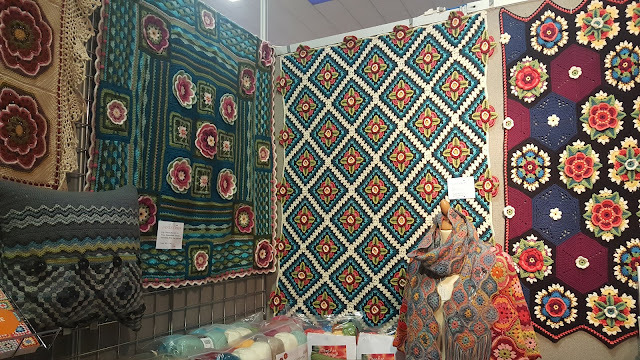 He particularly liked the yarns that gradually change colour, and some very cool neon brights. He even asked afterwards if he can come with me next year too! 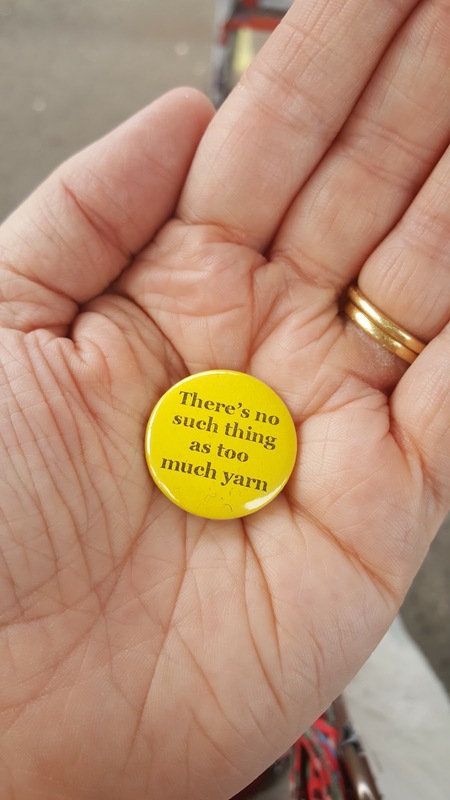 Despite all the many temptations around me, I didn't actually give in and buy any yarn at all! I did buy a book of patterns, Edwards Menagerie (see it here), which was a purely selfless buy as it's all cute little animal teddy patterns in it that I can make for the boys. First on the list to make is Fraser's favourite animal - a giraffe! 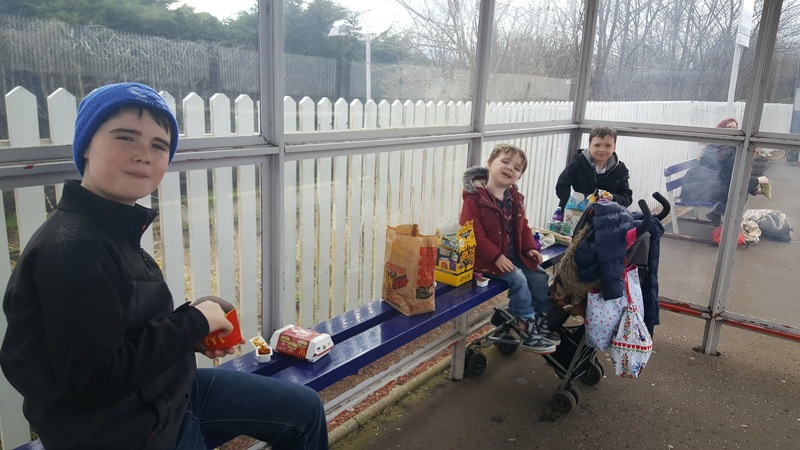 And as a treat for the boys for being so good, and since their older brothers were off on their travels, we had a little McDonalds on the way home from the festival. The youngest two boys can only eat the chips in a Happy Meal but we still had to buy one for the Lego Batman toys in them! So there we go. 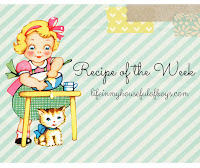 Not quite as random a weekend as it sounded at first, and a very successful one for everyone!